MARCS Institute for Brain, Behaviour and Development recently hosted associates from Dolby Australia(opens in a new window) to discuss research ideas and potential collaboration. 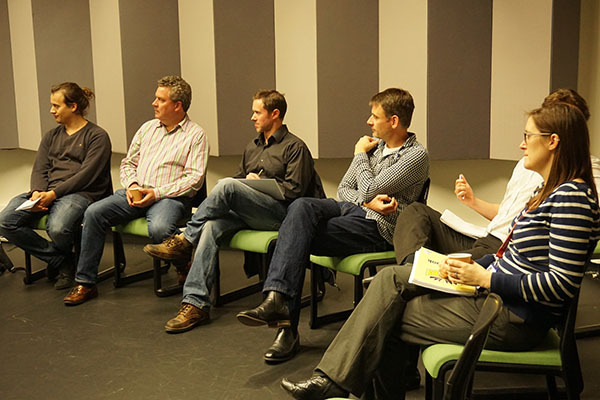 With common interest in the areas of perception and speech in addition to wider areas of neuroscience and human machine interaction, a number of Dolby representatives visited the MARCS Institute labs on the Bankstown campus of Western Sydney University on Thursday 10 September 2015. 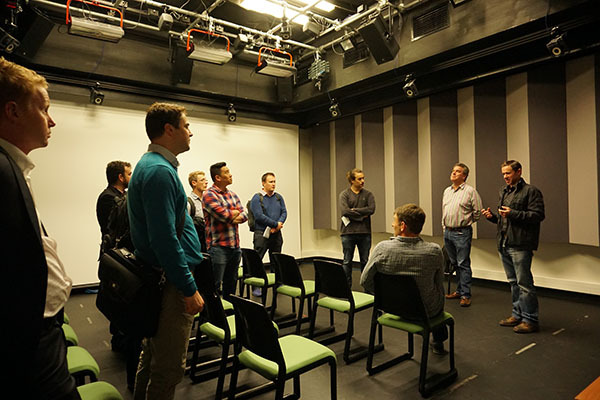 Led by Glenn Dickins of the Communications team at Dolby Australia, the group held some open discussions around several topics where there is a tension between aspects of technical engineering design and cognitive interpretation, bias and incongruence. 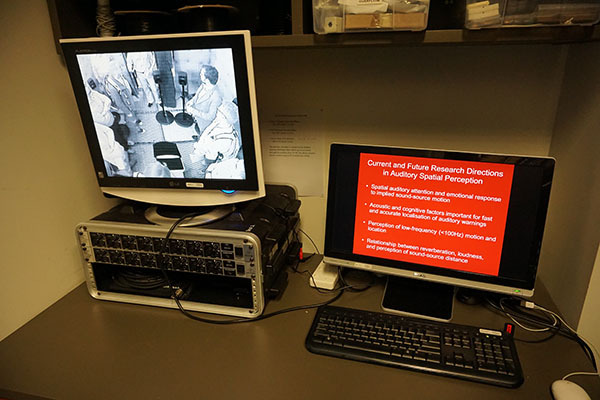 MARCS may help Dolby develop next-generation video conferencing and cinema surround sound, using our understanding of the psychology of perception. A selection of photos from this visit can be viewed below. Representatives from Dolby Australia taking a look inside one of our anechoic chambers used for research. Dr Kirk Olsen, part of our Music Cognition and Action group, discussing one of our Face & Voice labs. 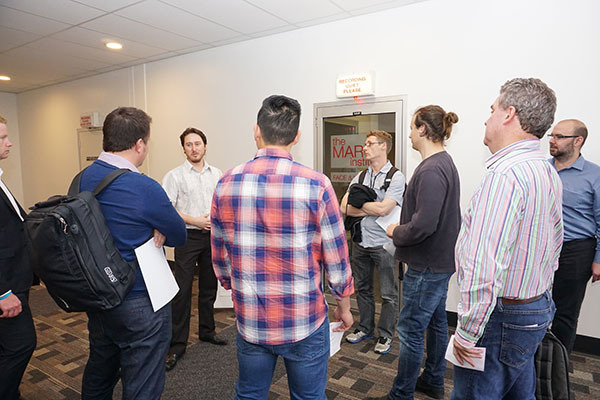 Associate Professor Peter Keller taking Dolby representatives through a tour of our labs at Bankstown campus. 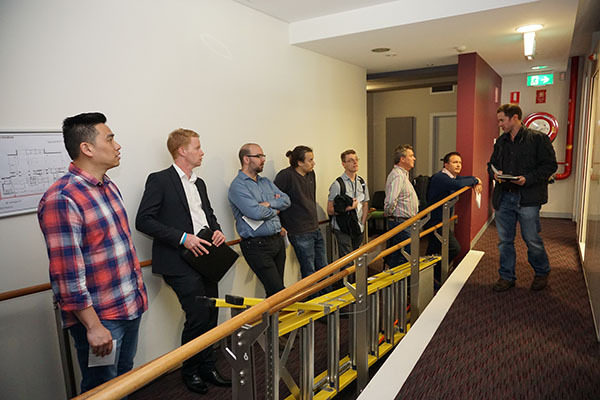 The group taking a look at our performance studio at Bankstown campus, which is fitted with a VICON motion capture system.